Kerala: Country made bomb explodes in RSS functionary's house; Was a terror attack underway? Kerala: Country made bomb explodes in RSS functionary’s house; Was a terror attack underway? 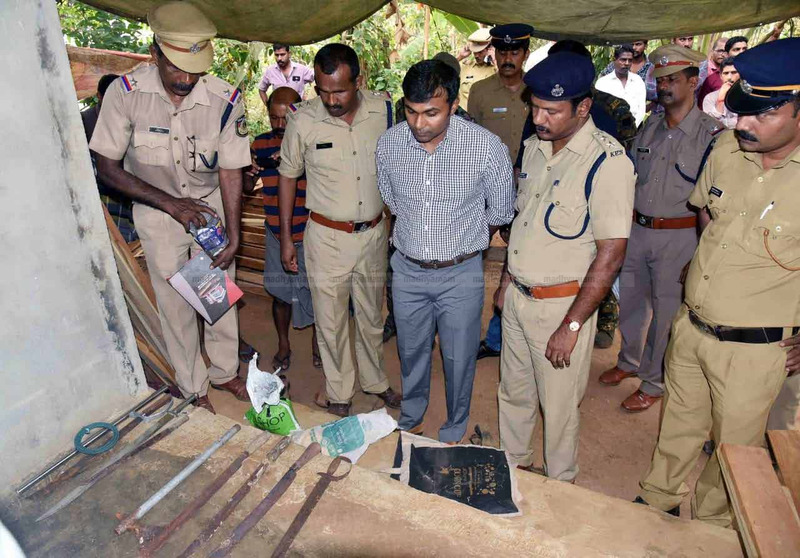 A country-made bomb exploded inside the compound of an RSS functionary house at Naduvil under the Kudiyanmala police station limits on Saturday. Two children, one identified as Gokul, 7 and other Kajinraj, 12 were severely injured in the blast. Gokul is the son of Shibu, the RSS functionary, while Kajinraj is the son of Shibu’s relative and neighbour, Kumar. The incident occurred at Shibu’s house at around 1.30 p.m. The police confirmed that the children had suffered serious burn injuries in the explosion and were admitted to a private hospital here. According to the police, the crude bomb that was hidden beneath a heap of rubble on the compound of the house exploded when the two children were searching for some materials for making a bird cage. The police also unearthed bomb-making materials, including 3 kg of aluminium powder, 600 gm of gunpowder and fuse wire, as also seven swords, a hand axe and an iron rod. The police suspect that Shibu’s house is being used as a place for hiding bombs, bomb-making materials and weapons. The police has strengthened vigil in the area in the wake of the incident. Both the Muslim Brotherhood and RSS have striking similarities in their outlook and strategies. They both have the same objective: uniting people on the lines of the majority religious group and establishing the hegemony of that religious group over society and state alike. Previous articlePM Modi two-timing people of India; Sends greetings to Imran Khan while pretending to boycott the relationship!